Rental Gallery is pleased to present Jonathan Silver an exhibition of important and historic work by the late New York-based artist Jonathan Silver, organized by Nicole Klagsbrun. 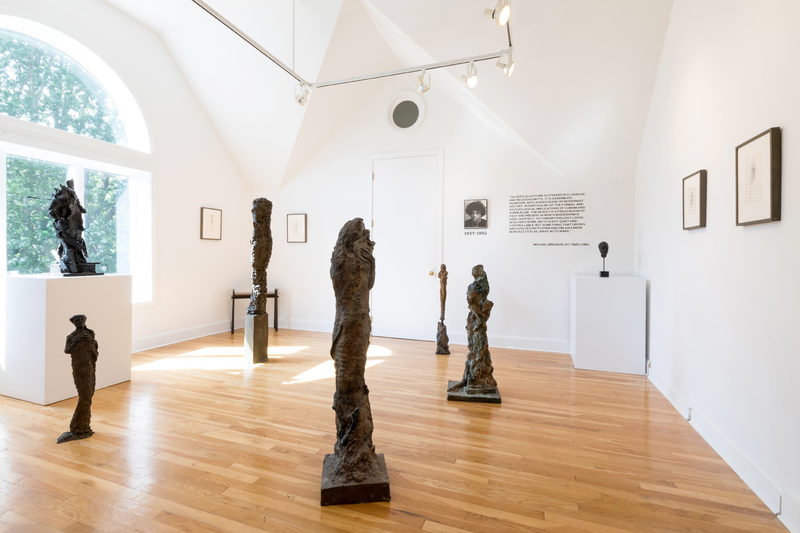 Comprised of nine bronze sculptures from the 1980’s and 1990’s, as well as a group of works on paper from the 1970’s and 1980’s, the exhibition will be on view from July 1st through July 25th, 2017. 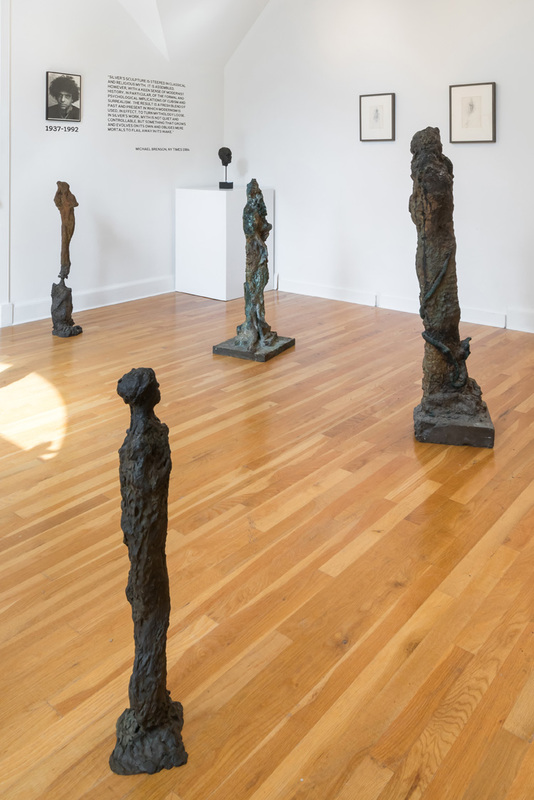 On view in the gallery is a tightly focused presentation of bronze sculptures produced by Jonathan Silver, between 1980 and his death in 1992. Marked by a strong verticality, the bronzes generally depict elongated human figures that struggle to wrest themselves from blocks of mottled, dark material. Body parts emerge from the molded terrain of Silver’s totemic figures, but the various limbs stop short of cohering into complete human forms. In these works, muscled torsos meet willowy limbs at forced junctures, as though sections of different bodies were compiled to create singular forms. Silver’s endlessly iterative process of sculpting, molding, casting, and building accounts for this sculptural logic of accumulation: his practice was marked by a willingness to incorporate any aspect of the casting process as he created a sculpture. Molds used to cast a head, for instance, were often affixed to the base of another sculpture and subsequently recast to create a new work. 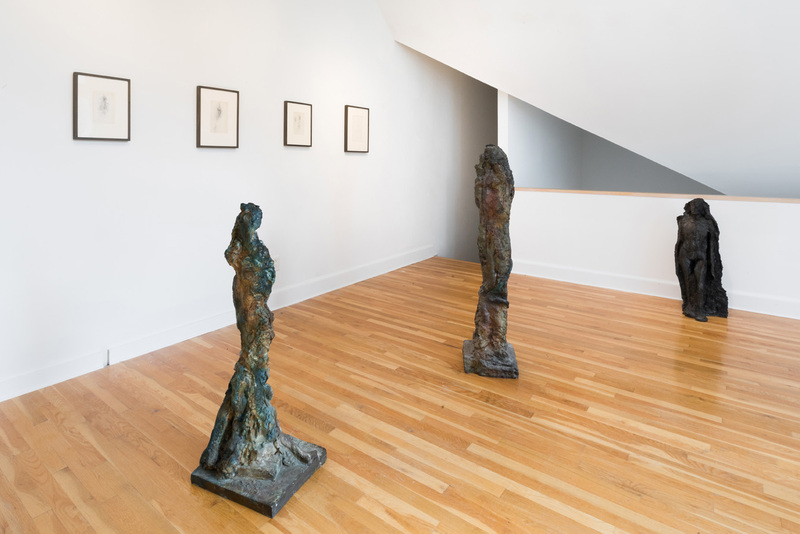 The resulting sense of assemblage and hybridization as well as the impression of bodily distortion that his artistic process often produced is similarly apparent in a group of works on paper also on view in the gallery. Silver was a consummate draftsman, who drew constantly during his lifetime, both interpretively and from the model, and his delicately rendered lines conspire to suggest figures that sit on the verge of dissolution. Silver’s work was defiantly figurative in a context that championed abstraction and reduction. For the final decades of his life, Silver taught sculpture at the New York Studio School, where drawing and sculpting from a live model constituted the backbone of a fine arts curriculum. While post-minimalism and institutional critiques were positioned at the cutting edge of contemporary practice, Silver found refuge and generative energy in representational and narrative sculpture. His columnar bronzes often recall ruined Greek caryatids, perched upon Romanesque bases, and his titles often make reference to Hellenistic gods and Greek myths. Silver’s forms, however, owe as much to the work of Auguste Rodin and Alberto Giacometti as they do to forms from antiquity; indeed, Silver abandoned a dissertation on Giacometti supervised by Meyer Schapiro to dedicate his time to making art. Taken together, Silver’s work suggests an alternative to the reduction and irony of his contemporaries, in a way that demonstrated the continued relevance of figurative sculpture. Jonathan Silver was born in 1937, in Brooklyn, New York. He studied at Columbia University, where he received an undergraduate degree in the sciences, before switching fields to study Art History under Meyer Schapiro at the graduate level. 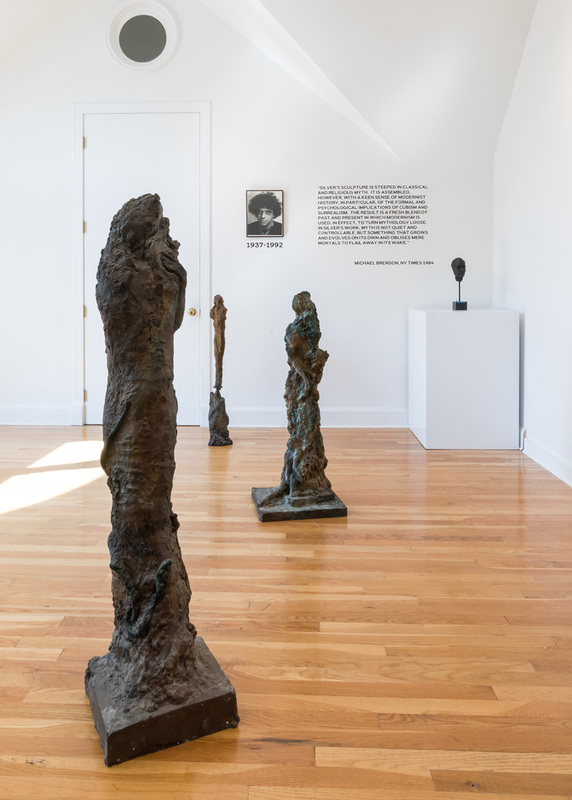 Silver’s work has been the subject of numerous solo presentations in the United States, including exhibitions at the New York Studio School, New York; Gruenebaum Gallery, New York; Sculpture Center, New York; Victoria Munroe Gallery, New York; and Lori Bookstein Fine Art, New York. His work has also been included in group presentations at Comfort Gallery, Haverford College, Haverford; the Walker Art Center, Minneapolis; and the Queens Museum, New York. Silver’s work is held in the collections of many public institutions, including, the City of Baltimore; the Walker Art Center, Minneapolis and the Weatherspoon Museum, Greensboro, North Carolina. Silver wrote and lectured about art throughout his career, and he taught both sculpture and art history at the New York Studio School and Montclair State College in Montclair, New Jersey. In 1991, Silver was awarded the Academy Institute Award in Art by the American Academy and Institute of Arts and Letters, New York. Silver lived and worked in New York City until his death in 1992. Additionally, the documentary Jonathan Silver: Infidel In The Studio by filmmaker Colleen Fitzgibbon will be presented during the exhibiton (date TBD).